We believe in serving our customers without any delay. In order to provide complete and unhindered support to our 2200+ customers, we are glad to launch our SupportDesk mobile ticketing app on Google Play for an unmatched 24 x 7 Support at your fingertips! First-of-its-kind by any IT service provider. For ease of access , easily available Google App Store for all the Android users. Customers can raise a ticket from anywhere, at any time round the clock. Customers can view the status of the pending tickets on the Dashboard. Additionally, an online ticketing portal is also available https://supportdesk.logix.in/ . 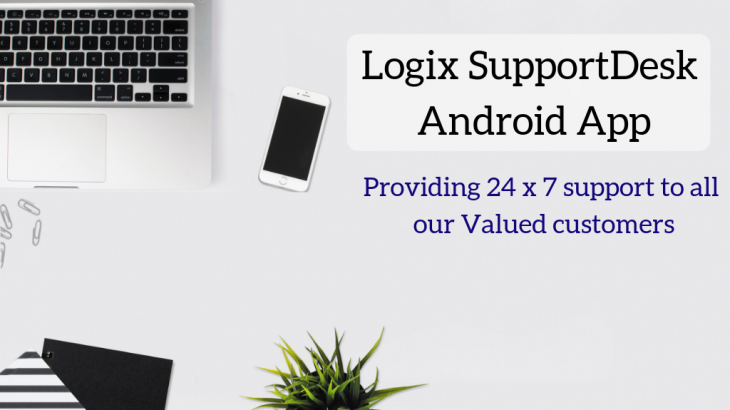 Search for “Logix Support App” on Google Play Store and click Install. Once installed, register using your registered mobile number. Securing with 2-factor authentication, sending OTP only to the registered mobile number. Once succesfully registered, enter your customer ID. Raise ticket anytime anywhere and view its status on the dashboard. Email, Web Hosting, Website Security. permalink.